How can renewables benefit my extension plans? Green Square can offer helpful advice on how to make the most of your existing, or future extension plans. You probably don’t need us to tell you about all of the positives that come with renewables, it can actually add space and value to your property too! Now is the perfect time to add renewable technologies to help heat your home more efficiently whilst saving you money. Extending your property is an ideal time to make the change to renewable energy. You want your new extension to be warm and cosy through winter, so planning energy efficient devices really pays off. Whether it’s adding one or two products (like a biomass boiler or an air source heat pump) or a whole renewable energy system, the benefits are vast. 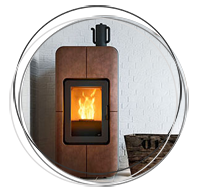 You will be ensuring your home will be heated in the most efficient way, whilst saving money and of course reducing your carbon footprint. You can even benefit from more savings when earning payback from the government’s popular Renewable Heat Incentive scheme. On top of all that, it makes the most sense as a long-term investment on your home, as you are already adding value with your extension prospects. 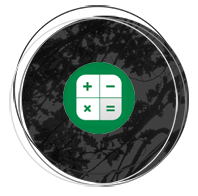 Click here to calculate your savings with RHI. How do I assess my property requirements? First and foremost, you will need to assess the requirements of your existing energy needs. If your needs will be dramatically changing after your extension this will need to be considered. These factors will determine the size and costs of your new system. Most people’s energy requirements will fluctuate throughout the year, so that’s another thing to consider. Are there any other ways to help reduce your energy usage? Sometimes when assessing these needs in depth, brings a new awareness and can help too! Green Square are able to carry out a detailed energy audit. Locations vary with their regulations for renewables in business and property developments. You can find out more information about building codes, easements, local convenants and ordinances, technology specific requirements regarding renewables through your local government site. These codes and rules will affect the types of renewable energy available and allowed installed, as well as if you decide to connect the system to the electricity grid, or use as a stand alone unit system. Green Square will work alongside your building team to ensure your system complies with set standard. As with all parts of the design process, tests may need to be carried out along with plumbing or electrical inspections. Following the National Electrical Code (NEC) will ensure that you are on the way to an inspections approval. If you are working with builders and contractors on your projects, you can always try to put your renewable ideas to them. That way you can forsee the best system to make your property as efficient as possible – they may even be knowledgeable about renewable products already. It’s safe to say that the future is looking more promising than ever with renewable energy solutions. Taking the time to consider how renewables will fit into your future is well worth it! Green Square has an expert team who are incredibly knowledgeable and keen to help you with your renewable system. You can contact us by telephone : 033 33 707 707 or by using our online form with any queries you may have regarding our renewable energy products. Alternatively, you can view our extensive product range.